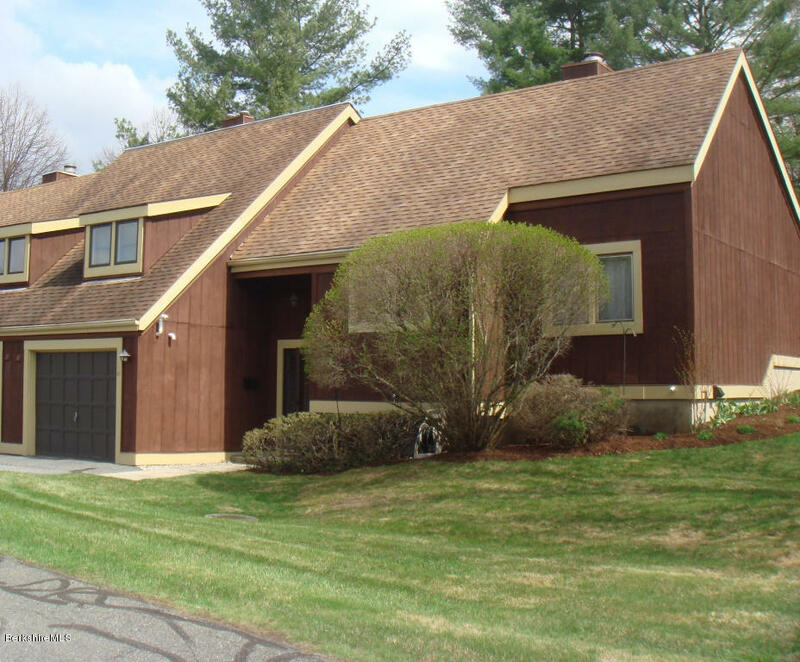 Beautifully maintained tri-level 2 bedroom, 2 bath end unit at Greylock Village Condominiums. This unit offers a spacious living room with beamed cathedral ceiling, French doors to deck and wood burning fireplace, fully carpeted and open to a gracious dining room. The eat-in kitchen features newer appliances and a pass-through to the formal dining room. Turn-key condition, overlooking a quiet cul-de-sac, enjoy care-free living in this very private end unit.